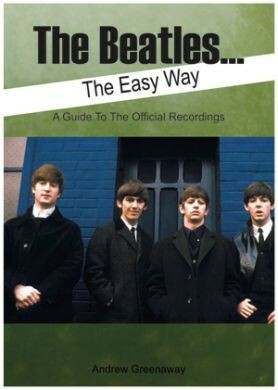 This book takes the reader through The Beatles career step by step as it happened. The objective is to comprehensively guide you through the recordings with detailed information about them, and to help those who are not fully au fait with all of The Beatles work to have a better understanding of what happened and when. Laid out in an easy to read format, it’s a perfect starter for someone who has dipped in to the catalogue but wants to learn more. Listed chronologically are all the UK and US releases, promotional records and media recordings that make up the full body of official recordings. This book goes way beyond anything you may find on Wikipedia or fan sites and includes sufficient information to also satisfy the more devoted fans.